Moving is becoming more and more common these days, whether you’re moving because of job order or you’re just looking for a fresh start, we know that when you move, you want to spend less money as much as possible because who wants to spend too much anyway? If you’re looking forward to have a cheap yet professional movers, there are many cheap removalists Sydney that could be found around New South Wales. The question is which one is the most reliable and provides quality along with their services? When trying to find the best moving company in Sydney, you would want to search around and try to compare on the services they offer. Make sure that they are well experienced and accommodating. Luckily, you wouldn’t have to search no more for Pro Removalists provides quality on relocating while offering them in affordable prices. Pro Removalists is one of the best cheap removalists Sydney out there. They ensure safety in your belongings starting from packing all the way to unpacking in your new home or office. Aside from that, they also provide cleaning services which makes it easier for you in every way. With their help, relocating wouldn’t have to be a pain in the head. To ensure a better and stress free removal, you would have to plan and organize ahead to keep the process smooth and hassle free. A well organized plan is the key to having the perfectly smooth move. Coming from your part, you would have to contact the moving company at least a month before and inform them about your relocation. By staying connected with Pro Removalists, you would be guided on the different things you need to do as you approach the day of moving. They will help you all the way through to make sure that you don’t stress yourself out. When it comes to packing, you would want to create a checklist of all the belongings that you will be bringing along with you. Although Pro Removalists offers packing as one of their services which also includes all the supplies needed like boxes and safety materials, you would still be deciding on which items should be packed. Make sure that you don’t include items that you won’t be needing like things you haven’t used for more than a year. To generate more budget for the removal, you might want to sell those things that you will be leaving behind through a yard sale or just give them to friends or relatives if you wouldn’t have the time. Also, make sure that you wouldn’t be leaving anything important behind. 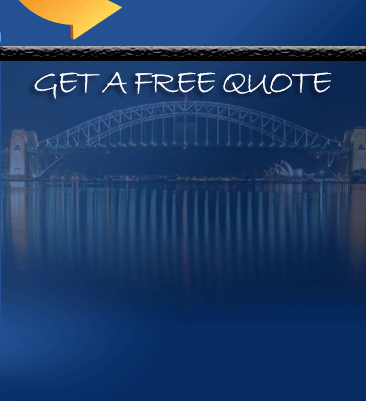 Pro Removalists is the most trusted cheap removalists Sydney. They serve with excellence and do their best to keep their customers satisfied and stress free. Choosing them as your moving partner is the best solution to your moving problems as they provide cheap but quality services. Pro Removalist offers affordable and seamless, end-to-end or office-to-office moving solutions. 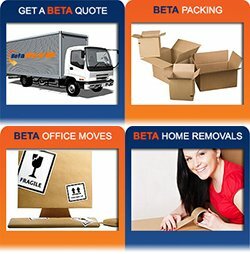 We offer a full range of Cheap Removalists Sydney Services. When it comes to moving, what you need are help from professional. If you think that you can smoothly move on your own, then you may have to think twice. Without experience and sufficient knowledge about moving, moving is a lot harder than it seems. 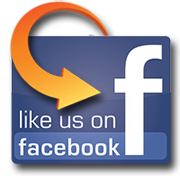 Check out our services and see how we can help! Confused on what to pack first when preparing for an office relocation? Well, it is indeed nerve-racking during office removals and you have no idea on what you should be doing. The answer to that is simple, Pro Removalists Sydney. We can minimize your stress and give you more time to think about the business by helping you with packing, unpacking and even the whole process of moving! Moving to a new home can be exciting but of course, the excitement comes with stress and headaches. But with the help of Cheap Removalists Sydney, let’s remove the stress and headaches and make the relocation pure excitement! With our affordable and high-quality services, this is possible! Quality packing is never easy. There is the pressure that you might get your things damaged if not packed greatly. Without packing experience and knowledge, combined with the pressure and stress, you might lose focus and end up getting most of your things broken and damaged during the move. To avoid this, you will need professional and expert packers. Lucky for you, Pro Removalists is here to save you day! With our expert and experienced packers, your things are guaranteed safe! There may be several moving companies out there for you to choose from but you can only trust the licensed and professional Cheap Removalists Sydney . Pro Removalists is one of these companies, trusted, licensed and professional. You can also read our other articles about the Things you Should Consider when Moving your Office, Why you should Hire Professional Piano Removals and the Common Errors Committed during the Moving Process.